BSc(Hons), MSc, MCSP, Dip. Inject Ther. 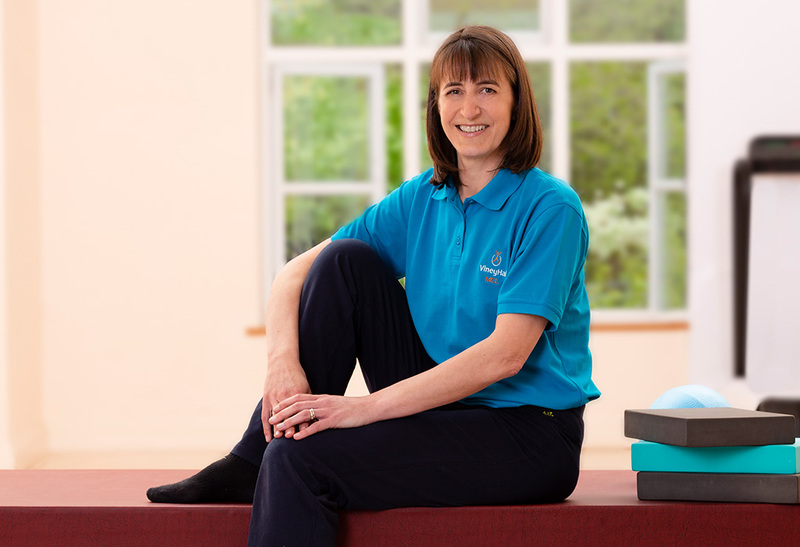 Mel joined the Viney Hall team in 2012 as a physiotherapist and modified pilates instructor. After qualifying in 1992 at Nottingham University she gained extensive experience working in large teaching hospitals in Nottingham, Cambridge and New Zealand. Both personally and professionally she is a sports enthusiast which led her to complete a Masters degree in Sports Medicine and Exercise at Nottingham University in 1999. She has worked and travelled with the GB canoe slalom squad, Nottingham Rugby Club (when Lydney were their rivals) and Derby County Cricket Club. Before moving to Herefordshire in 2010 she worked at Taunton Hospital as a shoulder specialist and gained a Diploma in Injection therapy in 2005. She combines her passion for rehabilitation and patient care with the equally challenging role of bringing up her 3 girls. On Sunday I’m 5’3 ½. After my class on Monday evening, I’ve grown to 5’5. By the middle of the week, I’m back to my usual 5’4. Thank you, Pip. Completed beginner’s course, now on improvers. Body coping a lot better with long distance running. Now I don’t get the aches and pains I always used to. Very helpful staff and good advice. Let the professionals relieve you of your aches and pains. Call us today to arrange an appointment on 01594 516810. | Website by Studio 18.